SIGN UP It’s free and always will be. Do you need ultimate website protection? Do you want to secure your website from hackers? Is fixing website vulnerabilities complicated? Do you want to easily recover your hacked website? 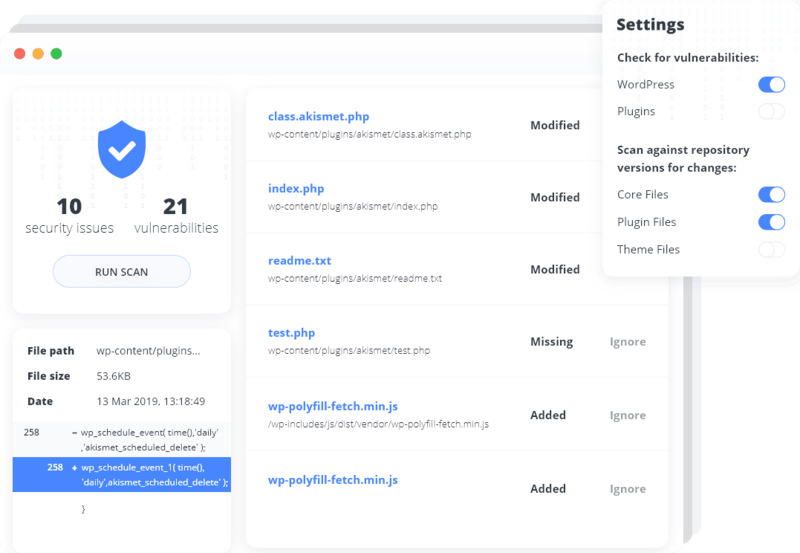 Scan your website for any vulnerabilities or security issues. Scan for any unauthorized file changes. Easily recover the corrupt files. Perform as many scans as you need. Schedule regular scans to automate the process. Immediately restored the files a malware had deleted. Highly recommend! We’ve just scheduled our security scans. One less thing to worry about. Has kept my photography portfolio safe and sound so far. Sign up and secure your website absolutely for free. Security Service is a part of 10Web Platform.